Big applause to Karen with Ryker for winning High in Trial at the Spokane Dog Training Club and to Renee with Hachi for achieving their MACH AKC Agility title (Master Agility Champion) in October. You make us proud! Congratulations to Karen and Ryker! After a successful day on Saturday, winning First Place and High in Trial German Shepherd at the Spokane Dog Training Club trial, on Sunday, they not only earned both again, but were High In Trial over all the dogs entered! 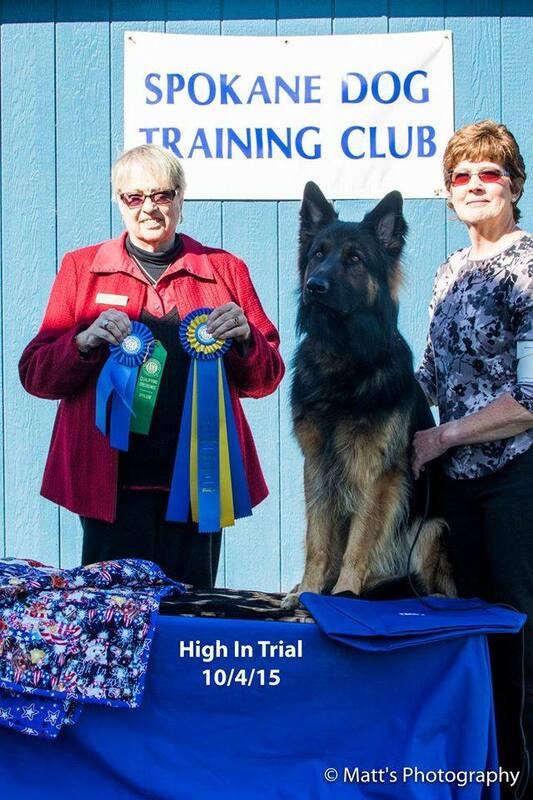 This meant winning High in Trial Herding Dog; High in Trial German Shepherd, Combined High in Trial, and a new CD title! Ryker is a two year old Candle Hill Shepherd pup out of Macho and Mokka. Way to go, Karen and Ryker! Very impressive achievement, Renee! We are so proud of you and Hachi! 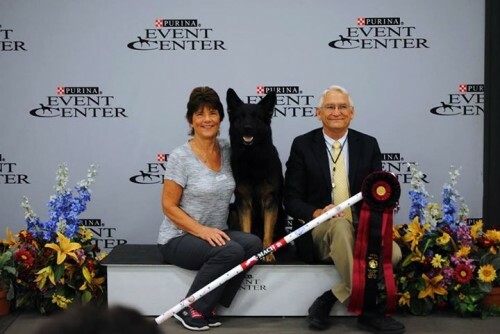 MACH: Master Agility Champion, an AKC agility title a dog earns by achieving a minimum of 750 championship points and 20 double qualifying scores obtained from the Excellent B Standard Agility class and the Excellent B Jumpers With Weaves class.